With the holidays fast approaching, there’s no better way to get yourself and your family into the spirit of the season than with foods and desserts that suit the holidays. Practically everyone loves brownies, but there must be a way to spruce up your everyday brownie recipe, right? Yes! Pumpkins have always been a significant attribute to the fall and winter seasons, but why only use them for decoration? These Pumpkin Spice Peanut Butter Brownies is a delicious way of incorporating the sweet taste and aroma of pumpkin into one of your favorite desserts. In a large bowl, combine your sugar, (granulated and light brown) vanilla extract and eggs and mix well for about four minutes or until ingredients have a frothy texture. An electric mixer is best used if you have one. After you have reached the desired consistency, add your baking powder, salt and flour and beat for about one more minute or until you have thoroughly mixed the ingredients together. Now you can set this batter to the side for later use. In a large pot on your stove, boil some water (about 2 cups will do.) Once the water is boiling at a high temperature, place a bowl which is heat safe on top of your pot of boiling water and add your butter and the chocolate you chose for this recipe. The boiling water in the pot will melt both the chocolate and the butter to a creamy texture. Until you have reached the desired consistency be sure to stir thet butter and chocolate so as to avoid a lumpy result and burning in the mixture. In a separate bowl, combine and mix your pumpkin, cinnamon, oil and nutmeg until smooth. Your butter and chocolate mixture should be thoroughly melted by now you will be able to add it to your mixture of oil and spices. In a third bowl, add your peanut butter and microwave it for about 20 seconds or just until your peanut butter has melted. Now you’ve reached the fun part! Evenly distribute your brownie batter among the three bowls of chocolate, peanut butter and pumpkin mixtures. In your baking pan, add a little of each mixture at a time, swirling the batters together, until you have used your entire batch of brownie batter. 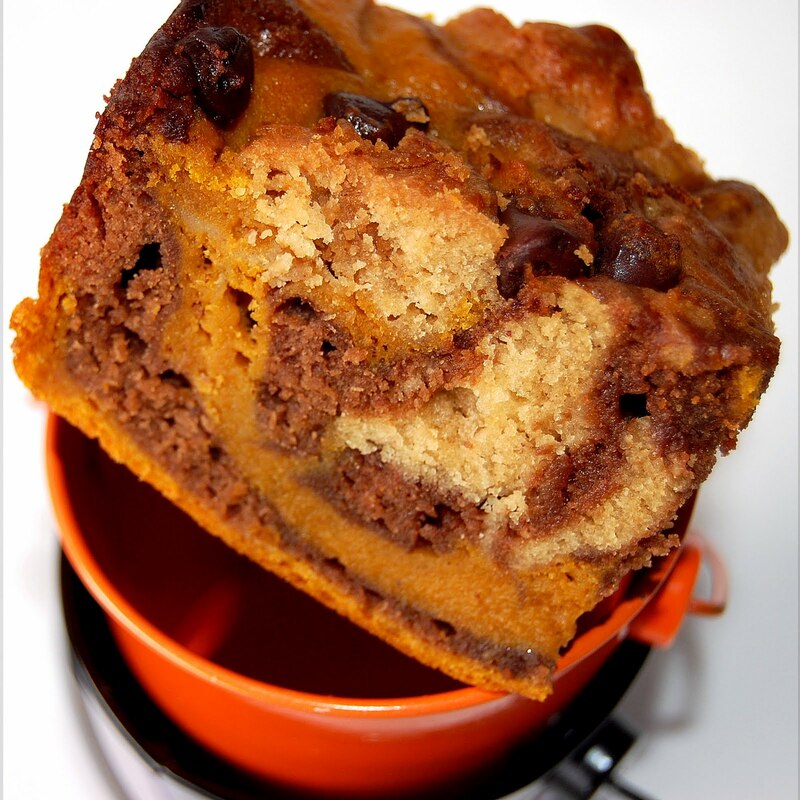 If you desire a little more flair to your Pumpkin Spice Peanut Butter Brownies, sprinkle some of your favorite chocolate chips across the top layer of your batter. For the best results, bake brownies for 40-45 minutes or until the center of your brownies are fully bakes. To test this, insert a toothpick into the center of your brownies. If the toothpick is clean as you remove it, your brownies are fully baked. Before cutting, allow the brownies to cool for about ten to fifteen minutes. Each of the three distinct flavors in these brownies make a statement and are delicious. With it’s cake-like texture and indulging aroma, you can’t go wrong with this amazing treat. Hot chocolate is perfect on these cold winter evenings, so why not treat yourself to a warm beverage with one of your favorite flavors? Hot chocolate doesn’t simply have to be milk chocolate. With a little creativity and a few ingredients you can liven up your drink with all of the flavors of fall. Pumpkin is a commonly used in fall decor but can also provide a tasty flavoring to many recipes. Hot chocolate lovers will adore this delicious beverage. You may want to double your portion! In a medium saucepan on your stove, whisk together your cocoa, pumpkin puree, syrup, spices and milk until thoroughly mixed. On medium heat, bring your ingredients to a point of steaming and pour into your favorite mug. In a separate small bowl, whisk together your maple syrup and heavy whipping cream until you’ve achieved a creamy texture with softened peaks. Top off your mug of freshly prepared hot chocolate with your maple whipping cream. 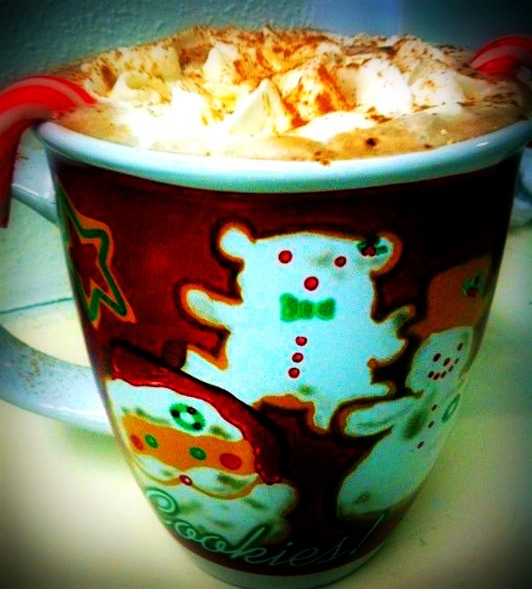 To decorate your steaming beverage, top off your whipped cream with a small pinch of cinnamon or nutmeg. Variation: If you desire marshmallows in your hot chocolate, top your cocoa with 1/4 cup of miniature marshmallows before accenting with your maple whipping cream. This is a great recipe that you can enjoy alone or with your loved ones on those cool autumn nights. The pumpkin spice adds a great fall flavor that will not only warm your body but your season spirits as well.